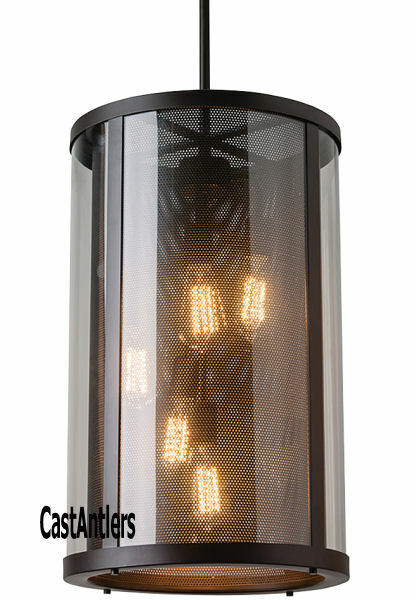 This chandelier has a perforated screen shade much like that of a cozy fireplaceâ€”with decorative hooks and rods adding to the unique, rustic details. Using antique-style bulbs furthers the warm and inviting look. Lamping: (5) Medium 100w Max.